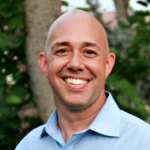 With toxic algae continuing to plague the Treasure Coast, freshman U.S. Rep. Brian Mast, R-Fla., is urging congressional leadership to bring bills to the floor for votes. On Thursday, Mast called on U.S. Senate Majority Leader Mitch McConnell, R-Ky., to bring the “Water Resources Development Act” for a vote. The bill passed the House last week and, despite having Florida’s two U.S. senators Democrat Bill Nelson and Republican Marco Rubio pushing the bill, it continues to be stalled. “In the community that I represent on the Treasure Coast of Florida, there is an ongoing human health and environmental crisis being caused by the proliferation of harmful algal blooms. People are getting sick, animals are dying, our environment is being demolished and our economy is withering. Our community cannot afford to wait any longer for help, which is why it is critical that the Senate act immediately to pass S. 3021, the America’s Water Infrastructure Act of 2018 (also known as the Water Resources Development Act),” Mast wrote McConnell. “On June 6, 2018, the House of Representatives passed the Water Resources Development Act, which included critical priorities for our community such as a placeholder for authorizing the EAA Southern Storage Reservoir, a provision mandating expedited review of the Lake Okeechobee Regulation Schedule and new authorization for the development of large-scale water filtration technology. But, from June 6, 2018 until September 10, 2018, the Senate failed to act on this important bill,” Mast added. At the start of last month, Mast unveiled the “Harmful Algal Bloom and Hypoxia Research and Control Act” which provides federal funds to communities fighting against algal blooms and ensures that a federal program built to combat them will not expire. On Wednesday, Mast paired up with two of the bills cosponsors–U.S. Rep. Suzanne Bonamici, D-Oreg., and U.S. Rep. Bill Posey, R-Fla.–to send a letter to U.S. House Speaker Paul Ryan, R-Wisc., and U.S. House Minority Leader Nancy Pelosi, D-Calif., to bring his bill to the floor for a vote. “We respectfully ask that you bring H.R. 6645, the Harmful Algal Bloom and Hypoxia Research and Control Act to the House floor for a vote. This bipartisan bill would help communities better prepare for, mitigate, and respond to harmful algal blooms (HABs),” Mast and the cosponsors wrote Ryan and Pelosi. “Harmful algal bloom and hypoxia events threaten the health of our oceans, lakes, and rivers. Our constituents depend on clean and safe marine and freshwater resources and the increasing presence of HABs across the country this year is detrimental to their well-being. “HABs occur naturally, but in response to certain environmental stressors, such as increased nutrient runoff and pollution, changes in water flow, and increased temperatures, colonies of algae can grow excessively and produce toxins,” they added. 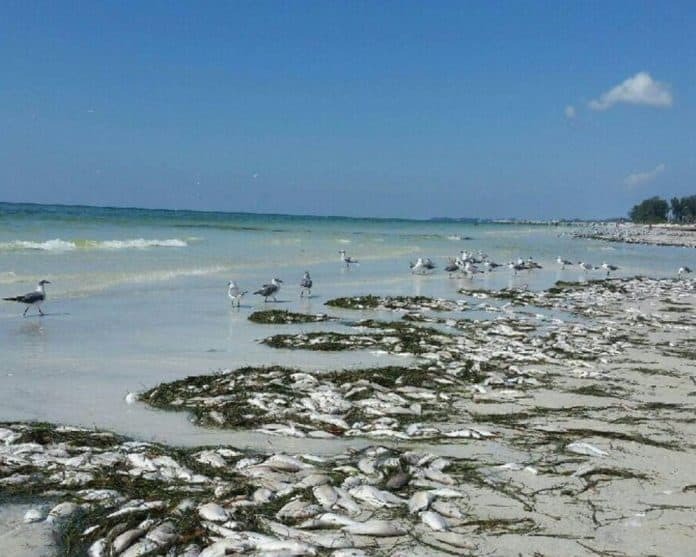 “As the algae die and decompose, they consume oxygen, leaving waterways in a hypoxic state that can result in the formation of “dead zones” where marine life cannot survive. This results in significant economic losses for the blue economy, our communities that rely on fishing, shellfish harvesting, and tourism. We must improve our understanding of harmful algal blooms and develop a stronger strategy to help communities better predict and reduce the number of harmful algal blooms and hypoxic events. “Congress has recognized the increasing frequency of harmful algal blooms across all 50 states. The Harmful Algal Blooms and Hypoxia Research and Control Act (HABHRCA), enacted in 1998, established an Interagency Task Force on Harmful Algal Blooms and Hypoxia and authorized funds for research, monitoring, education, and management activities to prevent, control, and reduce HABs and hypoxia. In 2014, the Science, Space, and Technology Committee held a markup on legislation to reauthorize HABHRCA through Fiscal Year 2018. The bill was reported out of the Committee with bipartisan support and was signed into law,” they continued.